This is a detailed article about What is search engine optimization. Do you want to starting a new blog or a brand new website for your businesses? When you have your awesome content in your site and you need to present them in front of a huge traffic. Search engine’s can help you a lot about this. And as you know, when someone search for a term and when they got some results, they never scroll down or hit next page, they go for only top results they have got, even you didn’t scoll down and down if you find out demanding things on top, No one does. Based on particular keywords, Reaching your contents on that first page of search result with a good top position is important to get maximum traffic. The entire processing system to reach top on search engine is called SEO (Search engine optimization). I will explain you how to do SEO, But entire system has many complex things related which you have to discover by your own practice. Because search engines are changing their algorithm frequently no one know exactly what is the best idea for SEO. But SEO have some basic rules. What is keywords? Keywords are words or phrases that perfectly match your content. If you have a blog about website template then your keywords for SEO should be something like this “website template design” or “website template download” or whatever match your content or topic. Keyword research is the most important part of SEO, First of all you need to find out your target keywords. They can be a single word or sentence. Getting higher rank for a single keyword is way tougher then getting first position for a phrase. BTW, now you have to find out that, On your topic which search terms have searched by people consistently. Some online tools can help you. Semrush is one of the best tool.But it has some restrictions for non-subscribed users. But still its well enough for primary research. Also, many other tools are available, Read this article also Best free keyword tools. Try to pick keywords with good search trends and amount but less competition. Long tail keywords are better then single word keywords for quick ranking. Back in 2012-2013 this was the most valuable part for ranking, but this years are passed away. Still “On page optimization” has value but in a limited way. After figuring out your keyword, put it in your url (if possible try to purchase a domain which match your keyword). Put keywords in meta title, meta description, In h1 tag, and in first paragraph of your page. Never try to put keywords repeatedly in page as Google doesn’t like it anymore. All images and image links(add alt tag in a tag cause img can’t be an anchor) should have alt tag as search engines can’t read images and it’s important for well optimized page. Also you can check your page optimization score by various online tools. Woorank is good one. Backlinks means other site which have linking to your site in general. We refer others in real life, just like that when some other site refer your site by putting a link to you. it’s your very first Backlink. But links quality may very for different page or website rank. If some brand new spamy site linking to you it may hamper your website rank. Try to won backlinks from high PR well established sites. Try this steps, Top ways to get quality backlinks. Also this article can help you build some edu and gov gTLD’s backlinks. Try out Rank Signals and similar tools to get your competitors backlinks and then try to put your link in every high pr sites that your competitor has linked. As I described three main functions of SEO, third one I mean link building is the most important term which you have to pass for better ranking. The most high authoritative sites has your link the higher your domain authority will reach. Try to get high authoritative relevant backlinks for maximum exposure. 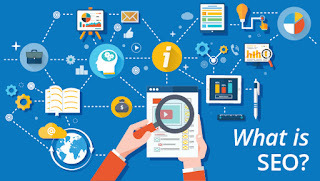 Does I answer your question “What does SEO mean or What is search engine optimization?” Let me know your feed back by commenting or ask me your further curiosity. Should You Utilize a Search Engine Optimization Organization for Your Company? Should You Make Use Of a SEO Agency for Your Service? Should You Use a Search Engine Optimisation Organization for Your Organisation? But if you know next to nothing about it, then what better way to get started than through the SEO basics? Because if you can master the basics, then the rest will be much easier for you. 160 High PR Dofollow Edu GOV bac ..
Freebitco.in Tricks 2019 Money m ..
How To Start Blogging For Earnin ..
200+ High PR Dofollow blog comme ..
Freebitco.in Multiply Trick To G ..
Buy Swiss Army Knife Pocket Kniv ..
Adf.ly Tricks 100% Working ̵ .. Hands Picked High DA Profile Cre ..
WordPress SEO Tips: Proper Way T ..
A List Of High DA Dofollow Comme ..
formatted for your club's website or news reader. © 2019 Pluginbloggers. All Rights Reserved.